Wish you could have confidential documents shredded on demand? You can! Time Shred’s regular shredding programs and one-time shredding service have been trusted by businesses and residents in Danvers MA for years. Our on-site shredding services are available five days a week to safeguard their personal information from the risks of identify theft. All it takes is one call for the ultimate protection. When it comes to throwing out confidential documentation, you can’t afford to trust trash bags and garbage day. Identity thieves are just waiting to swoop in and steal that valuable information from a garbage can or a dumpster at the office. We are ready to help. Our expert customer service team knows the importance of document destruction and we can help you choose a service that suits your home or business, give you a reliable quote and set up your appointment for us to come to your location in Danvers MA. Step 1: Call for a free consultation. Step 2: Choose the services that suit you and get a quote. Step 3: Make an appointment and enjoy next-day service Monday through Friday, or set up an ongoing schedule. There’s no need to worry about risking your private documents and personal information when you partner with A1 DATASHRED. We do all the work! Our mobile fleet is ready to drive over to at your home or office location and transfer your files into our locked bins that hold 300 pounds of paper. Watch as our uniformed techs move the bin to our truck so they can be lifted by an automated system and emptied into the shredder and destroyed. And get an even closer look by watching the live-viewing screens showing every step of the process on the side of the truck. One-Time Shredding – When you choose A1 DATASHRED, you get options. Need a one-time shred after a big clean, downsizing or any reason? Schedule today and we can be there as soon as tomorrow. Local companies rely on our on-demand, next-day purge service anytime they need it. You should, too. Scheduled Shredding – Your business can’t afford to be subjected to a data breach. Employee information, contracts, and financials are all floating around ready to be stolen at any moment. With an ongoing shredding program with A1 DATASHRED, and you’ll know exactly what happens to every paper, meet regulatory requirements, and even enhance operational efficiency. We make it easy, providing locked containers for the confidential paper to be deposited, which we empty on your chosen schedule: monthly, every four weeks, bi-weekly, or weekly. It’s easy to think identity theft only happens on the internet these days, criminals count on that. They wait for your confidential documents to get put to the curb with the week’s garbage and make the move. Our residential shreddingservice provides a higher level of certainty, protecting your privacy without missing a detail. Make an appointment for our onsite document destruction service Monday through Friday, and watch that personal information disappear right before your eyes. Upgrading to a new computer? Replacing a full external hard drive? Pushing delete and tossing these electronics in the trash is not enough. Hard drives contain a history of data that lives on much longer than you think. That’s why we offer onsite hard drive destruction. Our technicians will come to your home or business to physically destroy your hard drive, record the serial numbers, and supply a certificate of destruction. When you absolutely need hard drive data eliminated, A1 DATASHRED is the answer. So Many Trusts A1 DATASHRED, You Will Too. At home and at work, our privacy is always at risk. Every one of our professional shredding staff considers themselves your partner in privacy protection. We handle each piece of paper with complete care, and we have the training and certifications to ensure it. Our staff is required to sign a confidentiality agreement and undergo annual background checks and drug tests, so you know you’re dealing with the best. Because we would never put your trust at risk.  Only the top document destruction companies can earn an AAA certification, and A1 DATASHRED has. We meet—and exceed—the standards of secure information destruction set by the National Association of Information Destruction (NAID). We stay current on training and security protocols to guarantee that your personal information is never accessed again. We’re passionate about protection your privacy, but we’re just as committed to protecting the environment. We approach all business practices with an eco-friendly mindset, recycling all shredded paper and having a zero-impact on landfills. And as for the trees that give us life, we save 17 with every ton of paper we shred. If you’re in Danvers MA, call for an appointment today, and start shredding tomorrow.